There is dispute about which people did what to get Twitter off the ground in March 2006. As a result, we may never know if the company’s founders realized the breakthrough the micro-blogging service had stumbled upon for marketing. By limiting users’ posts to 140 characters, Twitter provided something no other advertising medium in history had been able to pull off: A real-time window into both what consumers wanted and when they were ready to buy it. But where good fortune surfaces, new challenges sometimes appear as well. For marketers of small businesses, the question becomes how best to mine 500 million-plus daily Tweets to find the new business opportunities that Twitter offers. The answer boils down to one thing: keywords. 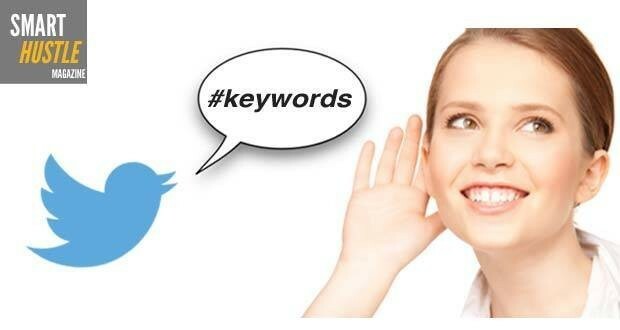 This marketing term refers to words or phrases a marketer searches for in Tweets. The keyword “thirsty,” for instance, might help a sandwich shop find people who could use a soda. The term “soda” might work as well, but “thirsty” has an advantage: It reflects how people converse with each other – as they do on Twitter – rather than how they talk to search engines. Even better, simple keyword tricks allow that make-believe sandwich shop owner to find people who are near her business and who might be dying for a Pepsi. Searching Twitter for “thirsty near: Dallas,” for instance, shows tweets from people in that city who could be close by and ready to stop in for refreshments. The Internet lacks a one-stop shop for picking the best keywords for finding small business clientele on Twitter. Ingenuity can definitely help, but the most successful marketers engage in a constant process of research and evaluation to discover the right words for the right moment. Social Listening is the act of "listening" to conversations on Twitter by tracking what hashtags are being used and what topics are being talked about so that you can find an opportunity to engage in conversation with potential customers. Tracking tools that focus solely on Twitter include TweetDeck, which allows users not only to search keywords, but also to get alerts when things change. “We knew we had to participate in social media, but we couldn’t connect the dots on how to use social media to find new patients until we found SocialCentiv,” says Dr. Dhiren Patel, Solace Counseling. While the task of picking and re-assessing keywords can involve some legwork, the good news is that rewards, in the form of new business, can be immediate. And as the head of a small business myself, I find it hard not to love that. Bernard Perrine is the CEO of Twitter marketing company SocialCentiv. He can be reached at bernie@socialcentiv.com. Brittany Dow is a graduate from the University of Connecticut and specializes in health and fitness. She is a member of the editorial team at Smart Hustle Magazine and frequently contributes articles that provide tips and strategies that help people better manage their health regardless of their lifestyles.